I suppose I need to make a post for September don't I. I don't know if it is just me but I was really disappointed with the music released this month. Drake's album I didn't think I'd like just because I am not a fan of R&B-Hop but his album, Nothing Was the Same, is much more boring than even I expected. True Drake fans will call me an idiot who doesn't understand his genius, of course. I don't think I ever will if this album was him taking his craft to the next level. The biggest disappointment of the month for me was the album She Got Game from RAPSODY. Her previous album, The Idea of Beautiful was and still is one of my favorite albums of the last five years. Her current album just doesn't do anything for me. I was not entertained. I'll try to listen to it again in a couple of months just on the strength that I life this artist but I don't think much will change. The second most disappointing album of September 2013 to me was Self Made 3 by the Maybach Music Group. The best thing I got out of pre-ordering this thing was the t-shirt and that's too bad because I thoroughly enjoyed Self Made 2. Maybe the hype was too much and the music just couldn't live up to it. Maybe the addition of too many other artists threw off the chemistry. I don't know. I do know that if a Self Made 4 is made I will wait to hear samples before I spend my money again. Nelly showed his ability to stay relevant and cater to the current buying demographic of rap music with his new album M.O., I liked two songs on it and I think that it will do well. However, I have never been a Nelly fan so the chances of me naming his joint album of the month before I listened to it was slim to none and I was right. I don't know if Rick Ross and his machine made an error in releasing Self Made 3 in the same month that one of his artists dropped their solo album but someone clearly fell asleep at the wheel of the Maybach Music Group. They screwed around and let Stalley's new album drop this month and it smoked Self Made 3 by a whole lot. 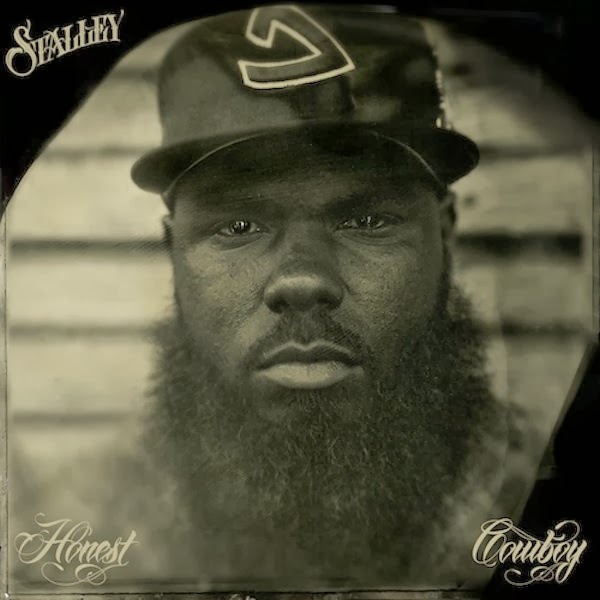 Coming off of his critically acclaimed debut album, Lincoln Way Nights, Stalley dropped his new album titled Honest Cowboys this month and it was artistically so much better than everything else released this month that I wouldn't be surprised if he doesn't bump Omarion on the appearance fee list when the Maybach Music Group tours in the future. Honest Cowboys is an "EP" and not officially an "album" but it has the most outstanding songs of anything released this month so I have to give it my nod for rap album of the month. Stalley always keeps the guest appearances to a minimum on his songs which I dig a lot. The only rapper to join him on this EP was Scarface and it was a perfect union of talent. Stalley put the perfect drive at night soundtrack together and I am going to bang this one in my Zipcar a lot.